Asthma is the serious medical condition characterized by airways narrowing and restricting the flow of oxygen in the lungs. Chronic Obstructive Pulmonary Disease (COPD) is an umbrella term that results in symptoms similar to asthma. It may be applied to emphysema, chronic bronchitis, or many other pulmonary conditions. People suffering from bipolar disorder may also experience episodes of auditory and visual hallucinations or delusions. Symptoms of Asthma and COPD are based on the frequency and intensity of episodes. Common symptoms include wheezing, coughing, dyspnea, lightheadedness, dizziness, and even anxiety. Symptoms are typically exacerbated when performing physical activity, performing daily chores, lifting or carrying items, and also walking. In some severe cases, multiple treatments are prescribed, including nebulizers or oxygen. Social Security has an entire subsection of their medical listings devoted to pulmonary conditions. With proper medical evidence, anyone that meets the definition of a listing will be granted Social Security benefits. The most common listings require an FVC and FEV1 rating from a pulmonary function test. Other information that can be used to meet a listing includes arterial PCO2 and a person’s height. Since asthma and COPD have no cure, they may only be treated, and it is important to record these test scores as symptoms progress. 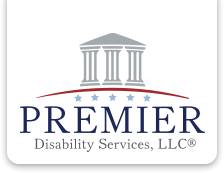 Premier Disability Services, LLC has extensive experience assisting claimants who have Asthma obtain Social Security Disability benefits. If you have this medical condition and you are unable to work, please contact our office for a free evaluation.